Send happy birthday plants to loved ones to plant a lasting birthday smile on them for many birthdays to come! Our fresh birthday plants, from gardenias and flowering plants to succulents and dish gardens, can be delivered to your favorite plant lover's home or office. Perfect for friends and family with a green thumb! A beautiful birthday plant is a thoughtful gift that will continue to grow and remind the recipient that you care long after the occasion has passed. Whether you choose to send a fragrant flowering birthday plant, a beautiful dish garden, or a unique bonsai tree, birthday plants are sure to brighten anyone's day. 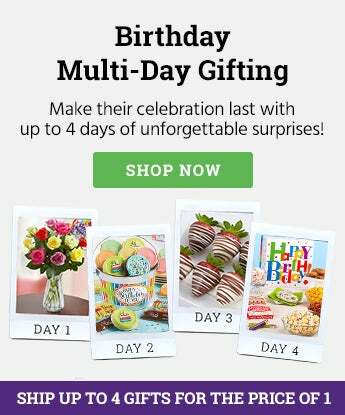 Plus, a wide variety of birthday plants will arrive to the home or office of the recipient in elegant or fun containers that can be reused even after the birthday celebration ends. 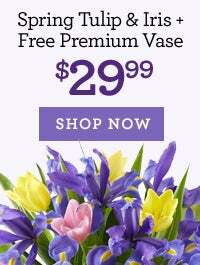 Make their day extra special with a birthday plant delivery. Whether you select a traditional plant like an elegant orchid or flowering plant, or something more unique and whimsical like a rose or cactus garden for a birthday gift, there is a birthday plant delivery option for everyone. The wide variety of birthday plants means that you can always find the perfect plant delivered to any birthday occasion in your life. The best way to let someone know you are thinking about them on their birthday is with birthday flowers and plants delivered to their home or office. Not only are plants a great way to wish someone a happy birthday, but they will continue to remind them that you are thinking about them all year long. Birthday plants and flowers can be sent that same-day with our birthday same-day delivery. Sending birthday plants is a popular choice to have your gift brighten the home or office of loved ones for a long time. And, if the recipient has a green thumb, the birthday plant can last for years, and might even be transplanted into their garden for a more permanent reminder of their special day. From your grandmother to your boss to your favorite teacher or good friend, birthday plants will always be a lasting memory of their special day.